Jason Doherty cuts a content figure as he reflects on last weekend's league final victory. 18 years is a long time to wait for silverware, but it wasn't something that weighed on the mind of this Mayo group: "It's more satisfaction that relief," explains Doherty. They overcame a rejuvenated Kerry outfit, under new management in Peter Keane. Mayo too underwent a coaching overhaul earlier this year, with James Horan returning to the job. Amidst it all, Donie Buckley returned to the Kingdom. Buckley is a renowned Gaelic football coach who has worked with Mayo since 2012. Now he's back down south and Doherty knows Kerry will only benefit from his input. Speaking to the Balls.ie GAA podcast, the Mayo man is quick to praise Buckley. There's no doubt, Donie was excellent for us and Mayo football. I have a huge amount of respect for him. We knew well that there are elements of Kerry's game that will improve further because of him. There's plenty of nights doing box-drills tackling with Donie that I'm sure the Kerry boys are going through now! Look at their consistency and their league performances. If anything they were the most consistent team in the league in terms of the new lads they brought in and the results they got. There seems to be a huge overreaction in terms of Sunday's result for them, their trend line is firmly going up. It was a particularly potent league campaign for the 29-year-old, who led the line in the absence of Cillian O'Connor. He is quick to credit Mayo's own management team for their unrestrictive approach. "In fairness to James and the management team, even more than James' previous term, there is a huge emphasis on the person behind the player and life away from training. "Trying to get that balance between work, travel, social life, downtime. There is a huge emphasis placed on that. Definitely, lads are getting and being allowed to get a chance to get that balance. If it means yoga, or tailoring gym sessions or tailoring pitch sessions to get the body right that's what is being done." Sunday's success is an ideal springboard for Mayo's upcoming All-Ireland tilt, but the voyage is just as important as the final destination. Horan's recent work has emphasised that. If you're feeling good physically, you feel good mentally and vice versa. It has had a positive impact on the group because lads are seeing it is not just all about the result and the outcome. It's every bit as much about the journey. You can listen to the full interview on this week's Three Man Weave podcast, via Spotify, iTunes, Pocketcast or any other podcast platform. 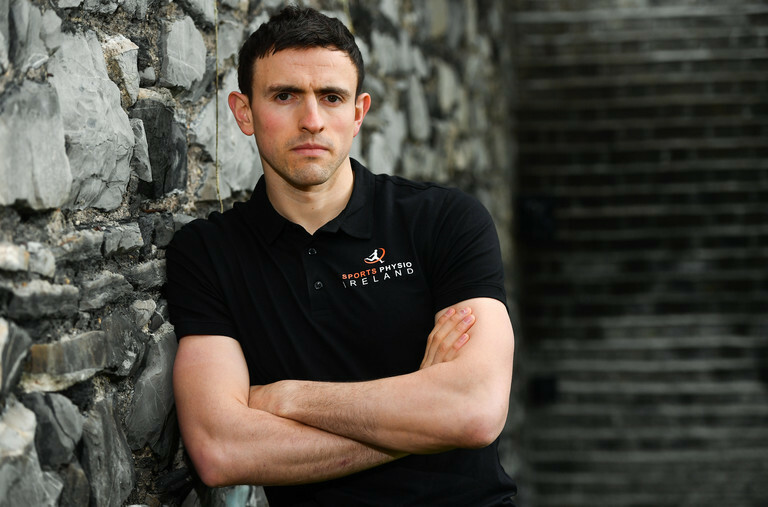 Jason Doherty was speaking at the official launch of the Physio Led Personal Training at Sports Physio Ireland. Physio-led personal training is designed to improve your overall level of well being, helping you to achieve your fitness goals all the while catering for any lingering injuries you may have. SPI gym was fitted out by Model Construction, Killeen Rd, Dublin.